The Leicester is one of the rarest CSM’s to be found with only four documented findings this one was destined to be a boat anchor until it was rescued in Wollongong Australia by Beb Alchin and donated to our Museum by Deb. The Nittol is a unique and rare machine, note the rocker action V Cam. 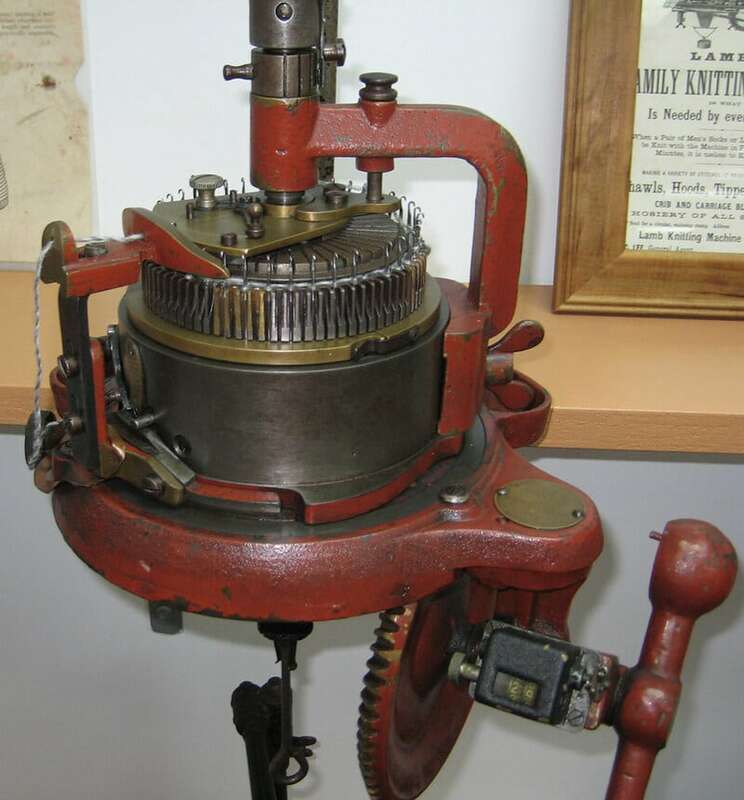 This machine also came as a compound model and was made in the United Kingdom. The Harrison Sun was produced for the home market and is a smooth to operate machine as usual Harrison the best of British. AKMC Automatic Knitting Machine company. Built like the proverbial British out house this machine was use in factories and was eventually motorised to speed up the procss. Beehive sometimes known as The English autoknitter before restoration, these machines were a vast improvement on the American and canadian autoknitters as they were made from cast iron rather than the pot metal used elsewhere. 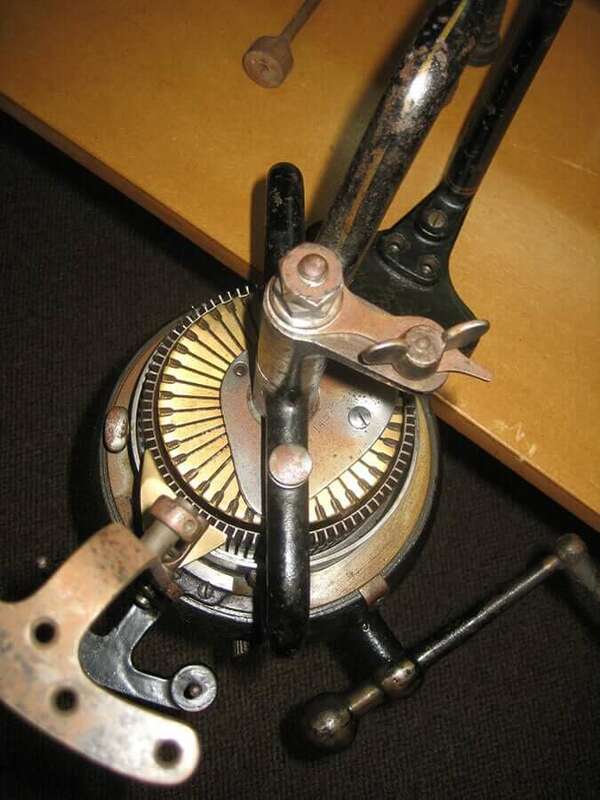 The Harrison is not only extremely rare but it is quite unique as the first British machine to tackle the issue of automatic heel making and pre dates the Canadian Verdun by several years. The Foster was the last of the Hand Cranked machines out of England they were manufactured up until around 1960. A very early Griswod around 1880 to 1890 this model uses a different needle than the later griswold models and has a lot of features that were dropped from subsiquent models.